Favola “has been a longtime friend to organized labor, and a champion for bringing equity and opportunity to all Virginians,” said David Allison, business manager of the organization, who pointed to Favola’s patroning a bill aimed at establishing prevailing-wage requirements for state-funded construction projects. 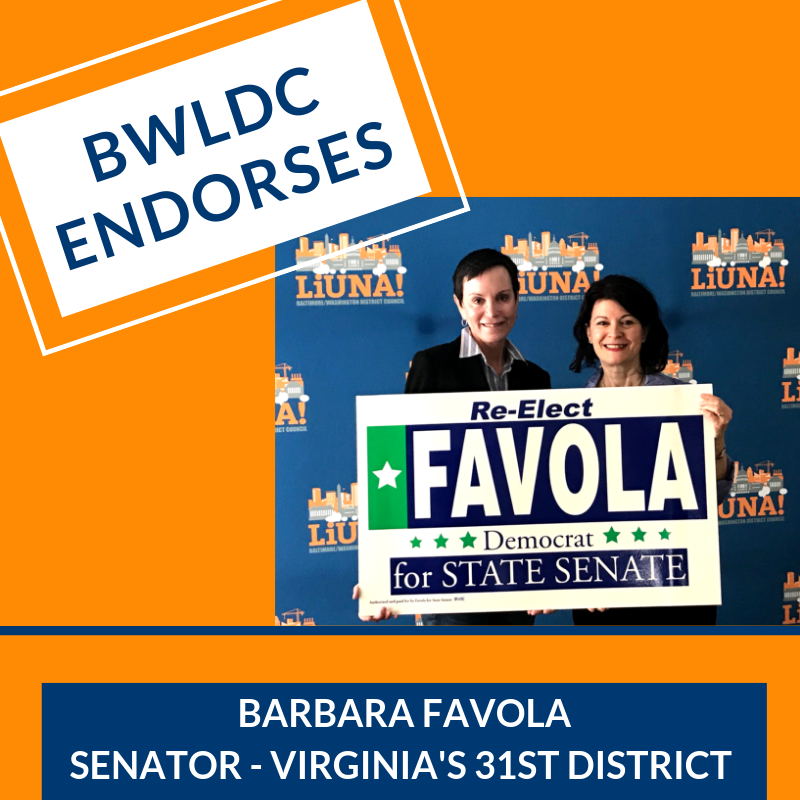 “We appreciate Sen. Favola’s advocacy on behalf of working people, her ready accessibility and willingness to push back on the status quo,” Allison said. The Baltimore Washington Laborers’ District Council represents more than 7,000 LIUNA members who live and work in the Baltimore-Washington region. Favola is being challenged by Nicole Merlene in the June 11 Democratic primary. The district includes portions of Arlington, McLean and Great Falls, with a small portion of Loudoun County.